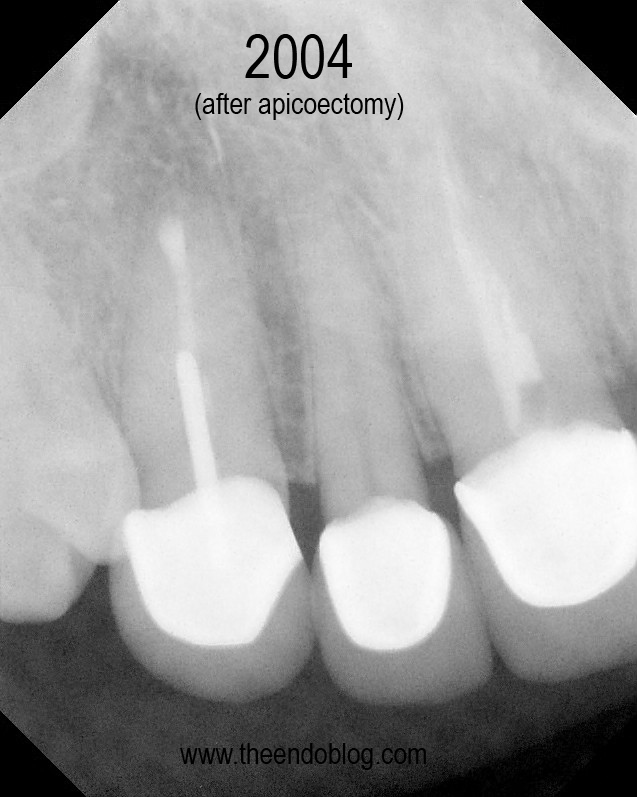 Last post, talked about how apicoectomies can be used to save teeth and the periodontium - tissues whose form and function are never truly replaced by dental implants. As a follow up to that post, here's a 9.5 year recall on an apicoectomy. This patient has crowns on #6-#11. 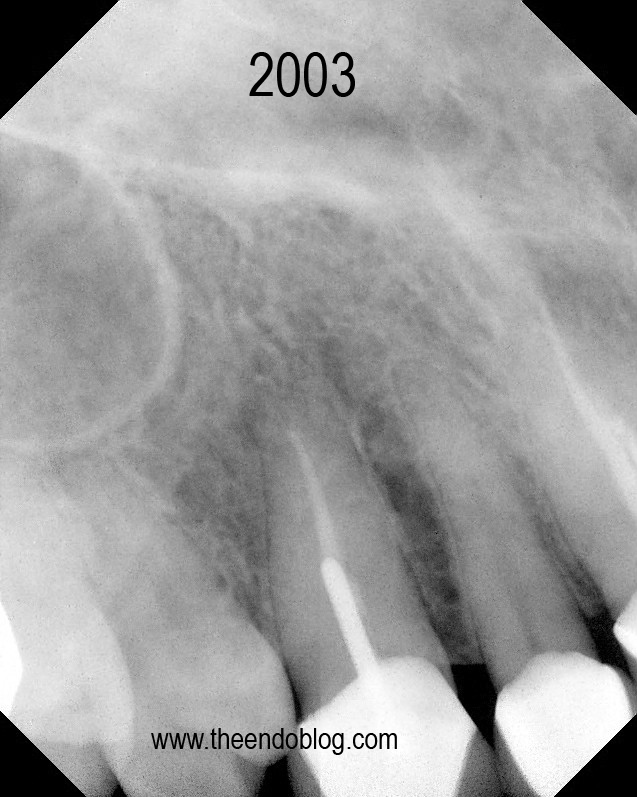 Tooth #6 is causing a localized ache, affected by pressure and chewing. #6 is sensitive to percussion with normal probings. 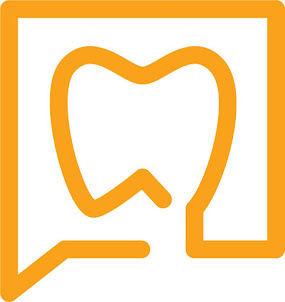 DX: Prior RCT with Symptomatic Apical Periodontitis (SAP). 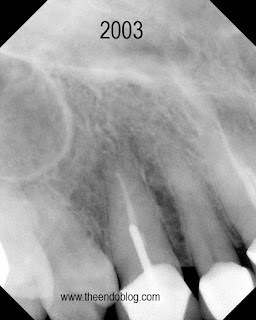 The margins are suspicious, but apical surgery was chosen to address the infection without disturbing the existing crown. Apicoectomy completed, no root fractures seen with microscope. MTA retrofill. 9.5 year recall. 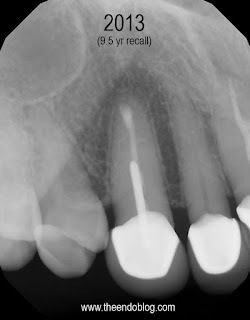 Tooth is fully functional, asymptomatic with radiographic healing. Apicoectomy has preserved the tooth and the periodontium for an extended period of time. Fantastic article ! You havemade some very astute statements and I appreciate the the effort you have put into your writing. Its clear that you know what you are writing about. I am excited to read more of your sites content.